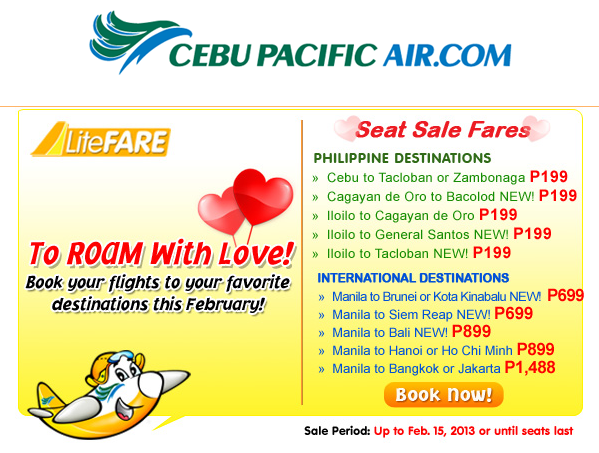 This month of love, Cebu Pacific has something to offer you so that you and your love one can go beyond your boundaries. Fly wherever you can. Avail this offered promo now! Take note of the sale period: Until February 15, 2013 or until seats last. This could be a perfect Valentine gift you can give to your sweethearts! So there you go guys!